By LUDWIG VON KOOPA - He doesn't seem to mind it, though I'm not so nihilist. After Microsoft bought out Mojang for Minecraft in 2014, founder Markus Persson (referred to as Notch) has gone his own way, leaving the company and living the life as a rich guy, occasionally lending his mind on some minor game development projects to keep his Brain Age low. in order to get a screenshot of one of the now-removed splashes. Why did this kid record his screen like that? How does Notch feel about this? Well... He's taking it well, actually. “I'm not very attached to things. I feel a bit foolish when I see people argue over me.” Says Notch. Notch sees himself as the guy that's associated with Minecraft as an era that's passed already. Even though his livelihood right now is based off him getting a big payout due to Minecraft, he sees it more of a fond memory than something he must continue to be actively associated with and have his identity revolve around. Compare to the maker of Myspace, Tom, who doesn't do anything besides photography and call himself MyspaceTom. Let's be clear here: Microsoft hasn't totally erased Notch from existence. Markus Persson is still credited as the creator in the credits sequence that no one really sits through. 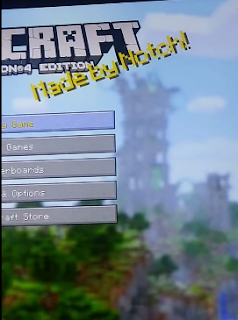 It's not unlikely that, through the many times someone turns Minecraft on, people are more likely to see Notch in the title than Markus Persson in the credits. There is a lot of speculation in media reporting of this story that Microsoft decided to remove Notch's name due to his personal/political views, which go against progressive orthodoxy. I won't enter that speculation, since Microsoft hasn't commented on the matter and that's just used as an excuse for the article writers to virtue signal. Let's note that the update this happened in was a substantial content update and not some rushed hotfix specifically to remove these splashes. As a matter of fact, this isn't the first time Microsoft has removed Notch references from splashes. 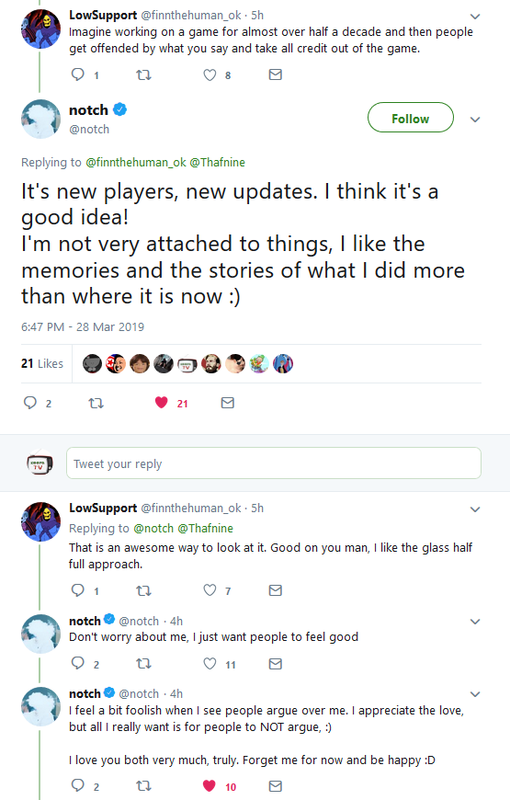 They used to have messages saying “Happy Birthday, Notch!” and “Notch <3 ez!” that were removed long before Notch started expressing his personal views, but shortly after he left Mojang. 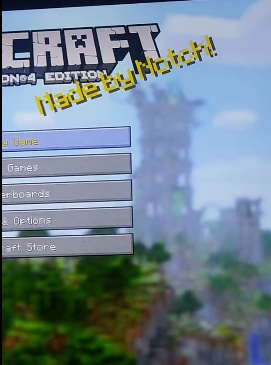 This will be the last time Microsoft will remove Notch references, since there aren't any left besides the credits. I'm not pleased by Microsoft going out of their way to remove innocuous bits of history. I just won't go into a big rant about it. Not because Notch doesn't want me to, but because we don't have full information and there's no use in me making a stand over that. Ludwig could've gone into great detail about Notch's off-the-cuff statements, but KoopaTV isn't like the rest of the media. That's why Ludwig didn't cite any media sources for this article, since they were especially useless. He consulted the Minecraft Wiki for Splash information, since he doesn't play Minecraft.